Thanks to the Guernsey Literary Festival for use of their images.  St James is a resource for the people of Guernsey, and we are keen to support local organisations looking to stage events, large and small. We can work with you to make the event work, often at significant discount, if not free. Founded over 50 years ago, Caernarfon Male Voice Choir have a wealth of talent and experience. They have won the Male Voice Choir competition at the National Eisteddfod of Wales nine times. Caernarfon have toured extensively in Britain, Ireland, continental Europe and North America, but never to the Channel Islands before and are looking forward to entertaining its Guernsey audience. This is a rare opportunity to hear Caernarfon MVC and its 50 voice party perform a varied concert alongside it’s popular local host Guernsey Welsh MVC. All proceeds will go to Guernsey Society for Cancer Relief. Tables for sellers of records, cd’s and other music related merchandise must be booked in advance, £10 for a single table, and £5 for any additional tables, contact info@valeearthfair.org, or 07781 107698. If you have any records, cd’s or other items you wish to donate to the Fair, please contact us – collection can be arranged. All funds raised will go towards the Vale Earth Fair festival. In October 2016, writer and broadcaster Stuart Maconie walked 300 miles from Jarrow to London, retracing the famous Jarrow crusade 80 years on, through a divided, complex country that echoes 1936 in many ways. From choral evensong to curry house, from austerity to affluence, from Wearside to Westminster, join him on an entertaining, impassioned enlightened journey through Britain then and now. Stuart is a bestselling author of travel, culture and social history books as well as one of Britain’s best knwon radio presenters across many BBC networks. Delivering the St James diary to the island. Many thanks to The Guernsey Literary Festival for use of their images and In Any Event for use of their wedding images.